Malaysia is a country located in Southeast Asia. The official language is Malaysian. Below is a selection of resources for searching for employment opportunities as a foreigner in Malaysia. Job Street: These guys have been around since 1995 and are one of the leading internet recruitment websites in the Asia-Pacific region. Best Jobs: An ugly interface with much prettier job options. The Star: The classifieds of The Star newspaper. New Straits Times: The classifieds of The New Straits Times newspaper. Career Jet: I’m sure you’ve heard of Career Jet. They have job search options for Malaysia. Indeed: The Malaysian version of the big U.S. job search site Indeed.com. Teaching English might be an option (if you are a native English speaker that is). All of the sites below are pretty similar and have a massive amount of teaching English job options. Browse through each of the sites for any English job opportunities in Malaysia. Also, be sure to check out this cool table from the International TEFL academy that shows how much money teachers can expect to make in various countries around the world. Footprints Recruiting: Take a look at this big teacher recruitment website to see if they have anything. 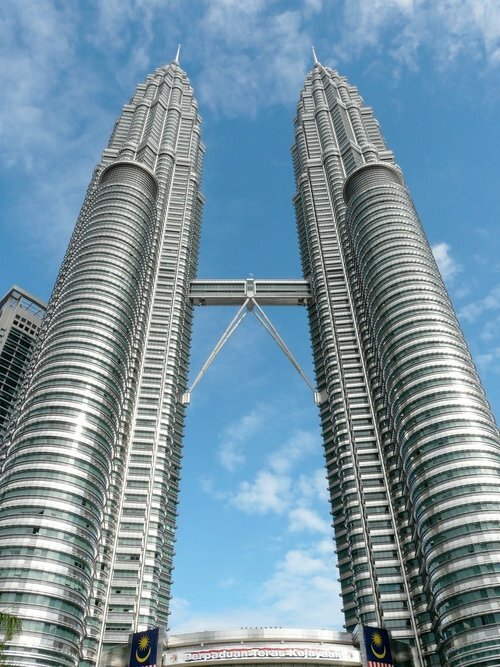 Wonderful Malaysia: Good article on useful information for Malaysia (including visas). Transitions Abroad: Transitions Abroad has a really comprehensive list for anyone considering becoming an expatriate in Malaysia. Business Insider: A good article here on the in-demand jobs in Malaysia. There you have it. The best places to find jobs in Malaysia as a foreigner. For information on visas for Malaysia, be sure to check out my Malaysia visa page. If you are looking to spice up your dating life, check out my post on the best online dating sites in Malaysia.